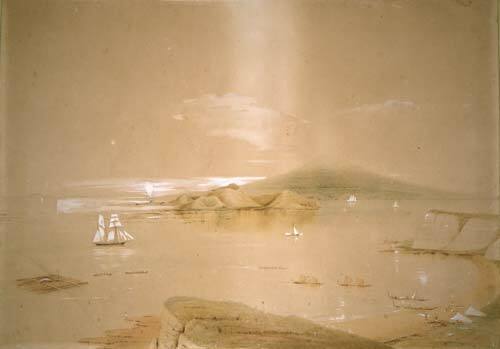 In this 1850s watercolour, Charles Heaphy shows how Auckland’s Waitematā Harbour is dominated by the volcanic island cone of Rangitoto. It emerged from the sea about 1400 AD. Browns Island (Motukorea), just to the left, is also volcanic.